Autopax is a wholly owned subsidiary of Prasa. The company has two distinctive brands namely, Translux and City-to-City. Over the past years these two brands have played a significant role in transporting and servicing long distance travelers (close to 4 million per annum), throughout South Africa and increasingly to countries across South African borders. 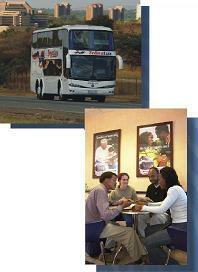 We operate luxury intercity coach services between all the major centres of Southern Africa. Our route network extends to more than 100 destinations domestically and to major cities in Malawi, Mozambique and Zambia. City-to-City operates semi-luxury no frills routes between the major centres in Southern Africa. Its route network is operated to most parts of the South African provinces and across borders to neighbouring countries like Lesotho, Malawi, Mozambique, Swaziland, Zambia and Zimbabwe. City-to-City has over the years also committed to serve and provide long transport distance services to the mining communities. One of the major advantages of travelling with City-to-City is the affordability it offers. Investments in new vehicles have further enhanced the level of comfort, safety and reliability. Passenger safety will continue to be a priority and only well-trained, professional drivers are employed to transport passengers. All our buses undergo stringent maintenance programmes designed to ensure that our busses are reliable and always comply with the highest safety and maintenance standards. Autopax has fully equipped workshops, operated by highy qualified technicians, to ensure that the vehicles are always in perfect conditions. We operate a 24-hr operations centre, which monitors the progress of all coaches en route. We also pride ourselves on our well trained and enthusiastic staff who are dedicated and always prepared to provide you with the best possible service. Because we care for our passengers, we always strive to understand their needs so that we can tailor our services to meet and indeed exceed their expectations. Take a trip with us and enjoy every moment of it. We have a fully integrated computerised reservations system and an extensive network of sales offices in all major cities. For a full list of Sales Office visit the Contact Us link. We are looking to make our services more accessible to our passengers. 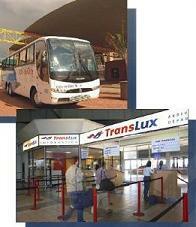 In line with this, we have a wide network of appointed agents who sell Translux and City-to-City tickets. To find out the location of your nearest agent please call 0861 589 282 or e-mail translux@apx.co.za. Corporate agents include Shoprite, Checkers or Checkers Hyper and Computicket. To avoid disappointment we would like to recommend that you book well in advance during busy periods such as the South African school holidays. Should you require any information about our services you can use the Contact Us or Talk to Us options.